The Proms and one of this year’s anniversary composers, the Dane Carl Nielsen, are still relatively new friends. 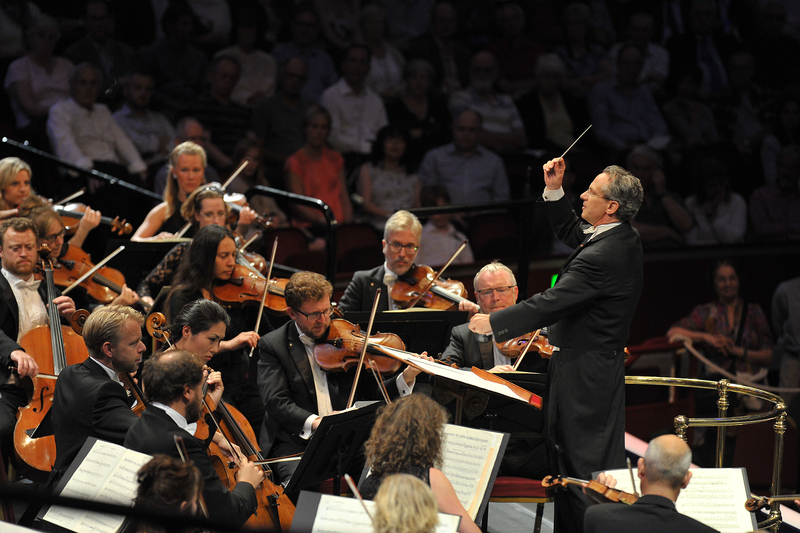 This is because Henry Wood and subsequent directors of the festival did not consider his music worthy of inclusion until very recently – and indeed the Second Symphony, heard in this Prom, was only receiving its second ever Proms performance. It was the culmination of a thoroughly enjoyable evening that showed Nielsen in several forms. We experienced religious contemplation towards the end of his life in the 3 Motets of 1931, the flowering of spring and love in the Hymnus Amoris of 1897 and then entered the symphonic boxing ring – or so it felt – for the taut arguments of the symphony, modelled on The Four Temperaments. These performances were all authentic, given by the Danish National Vocal Ensemble, Symphony Chorus and Symphony Orchestra. The evening began with a sunrise – a magical evocation conjured from almost total stillness by conductor Fabio Luisi. As the Helios Overture took shape he kept a close ear to the orchestral colour, and the shafts of sunlight grew ever stronger thanks to wonderful horn playing. The 3 Motets were cooler, partly because the choir singing them was relatively small, but if anything this enhanced their purity. In this late trio of works Nielsen pays homage to the Renaissance composer Palestrina in a series of carefully woven lines, though there is room for instinctive joy too – as there was in the final motet, Benedictus Dominus. Yet it was the words of an old man that stuck in the memory from the first motet, Afflictus sum, with its translated text “I am feeble and sore broken”. We then heard Hymnus Amoris, an early work begun by the brightly voiced Boy and Girl Choristers of Winchester Cathedral before blooming through two additional choirs, soprano and baritone soloists (David Danholt and Anna Lucia Richter) and orchestra. Essentially a journey through life, the 25-minute cantata has a healthy glow and pulse, its treble rich sounds bringing forward the promise of new life and love, despite the onset of old age towards the end. Ultimately triumphant, the work finished in a blaze of colour, following excellent solos from Richter in particular. If the musical language here carried the enthusiasm of youth, the mood darkened appreciably for the symphony – and Luisi noticeably stepped up a gear in his conducting. Using a subject that has often appealed to classical composers, the Four Temperaments, Nielsen takes us on a voyage of very differing emotions, and Luisi ensured these were clearly signposted but also keenly felt. The turbulent first movement (the Choleric temperament) has a lot going on, moving restlessly from one cadence to another, but it packs a punch and is ultimately a tale of resolve. The middle two movements (Phlegmatic and Melancholic) reveal more obviously vulnerable sides, and in the third there are dark clouds over the soul as the music spends much of its time brooding in a minor key. There are tunes to be enjoyed, though, especially a winsome number in the second movement, and Nielsen’s development of his material is notable for its speed of thought. Several listens to each movement are recommended to get a feel for his style, but in the Second Symphony Nielsen really convinces with his emotional arguments. The final movement, Sanguine, is the culmination, telling the tale of struggles won and demons vanquished. In a performance as convincing as this it was easy to be won around, a task made even simpler by a charming encore, the Dance of the Cockerels from Nielsen’s opera Maskarade. The concert also included Nikolaj Znaider playing Brahms‘ Violin Concerto. More of that in a future post! This entry was posted in BBC Proms, Orchestral and tagged BBC Proms, Carl Nielsen, Danish National Symphony Orchestra, Danish Vocal Ensemble, Fabio Luisi, Royal Albert Hall by arcanafm. Bookmark the permalink.